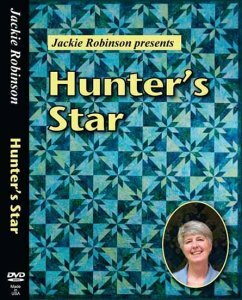 Hunter's Star DVD [35DVD] - $29.95 : Animas Quilts Publishing, Quilt Patterns, Books, Fabric and More! Just like having a workshop with Jackie -- in your Sewing room. . . Lap - 62" x 74"
Twin - 62" x 98"
Queen - 86" x 110"
King - 110" x 110"